FISTS used both positively and negatively influenced the outcome of this tetchy, tense tussle. 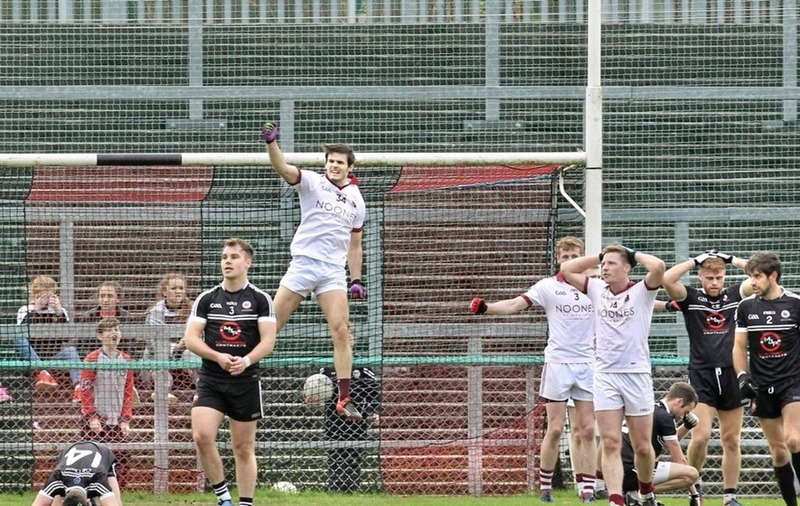 Slaughtneil skipper Patsy Bradley punched in the only goal and also appeared to get a touch to a last-gasp rocket shot from Darragh O’Hanlon which came back off the bar rather than going under it. A win for Kilcoo would have been undeserved, not least because they had two men sent off, Dylan Ward and Eugene Branagan, apparently for striking offences against the McKaigue brothers, Karl and Chrissy. Slaughtneil had a man red-carded too, defender Paul McNeill in the 25th minute, after an incident with Kilcoo forward Ceilum Doherty, although that appeared a dubious dismissal. The Magpies might still have won this, or at least forced extra-time, given that Slaughtneil full-back Brendan Rogers tipped a shot from substitute JJ McLaughlin over the bar in added time. That was fair and honest comment from McIver, but there was much that went on in this game that didn’t merit those adjectives. 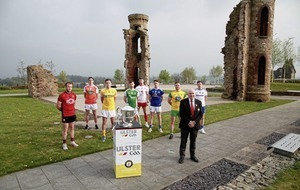 The antipathy was perhaps understandable, after the clubs met in last year’s Ulster decider, but Kilcoo’s desire for revenge spilled over into indiscipline. Dylan Ward, already booked, received a straight red card in the ninth minute, apparently for striking. Even before the Magpies sustained that numerical disadvantage they had been packing their defence, and it continued to be a form of ‘backs against forwards’ with Slaughtneil probing patiently for opening. The south Derry side were finding scores hard to come by and, even when they did, there were question marks over a couple of them, which looked wide from the press-box vantage point. More questionable still was referee Niall Cullen inexplicably issuing no card at all when Conor Laverty committed a textbook – or should that be rulebook? – black card offence in hauling Chrissy McKaigue to the ground in the 20th minute. Slaughtneil certainly seemed rattled by Kilcoo’s intensity and they were shaken further when they too were reduced to 14 men, Paul McNeill red-carded after an incident that left Ceilum Doherty clutching his face on the ground, although the victors later protested their man’s innocence. ‘UTM, UTM, UTM’, came the abbreviated ‘Up The Magpies’ chant from the Kilcoo support, their hopes raised by the numbers being levelled. Yet the Emmet’s finished the half strongly, ‘Sammy’ Bradley extending their lead, then Cormac O’Doherty adding to that with a sharp point on the turn after some smart hand-passing, for a 0-7 to 0-4 interval advantage. A goal was always going to be huge in such a tight encounter and Slaughtneil got one in unexpected fashion. Rogers, pushing up to the left wing, saw Bradley’s hand going up near the ‘square’ – and heard his shouts – so delivered a superb cross-field pass which the captain fisted into the net. Matters went from bad to worse for Kilcoo when Eugene Branagan, brought into the team for injured brother Aaron, was sent off in the 41st minute after a clash with Chrissy McKaigue. “I don’t know, we’ll have to sit down with Dylan [Ward], it’s not like him, Dylan’s never got sent off for us. Maybe it’s just one of those things. I think his was a swing back as a reaction to something that had happened previous. Kilcoo then showed the right sort of fighting spirit. Slaughtneil had restored their five-point advantage, at 1-11 to 0-9, in the 51st minute, through Shane McGuigan’s fourth free, but that proved to be their last score. The Magpies might have got a big one, when Laverty won a soft-seeming penalty against Padraig Cassidy – but Slaughtneil’s preparation goes deep. Selector Willie Hampson had watched O’Hanlon taking a penalty in the pre-match warm-up and passed on information to his goalkeeper. The Kilcoo number three struck the ball fiercely but Antoin McMullan plunged to his right and pushed the shot away. Paul Devlin converted the subsequent 45 but they needed more. Slaughtneil tried to play possession football, but Kilcoo’s ferocious tackling dispossessed them on several occasions, and sub Gerard Bradley also sent a shot short after a period of hand-passing. O’Hanlon, who had been pushed up into attack, saw a low shot deflected upwards which McMullan punched away, but McLaughlin returned a shot goalwards which Rogers had to tip over, for a point. Then, with 65 minutes on the clock, O’Hanlon fired in a free, and only the combination of Patsy Bradley and the crossbar kept Slaughtneil in Ulster contention. Kearney commented: “I don’t do nerves, but I have to admit at the finish up, we were hanging on. “Kilcoo are built on serious character, they never give up, and they didn’t give up, even with 13 men, against the Ulster champions – Patsy [Bradley] gets a fist at one end of the field and then he gets a fist at the other. As it is, it’s Slaughtneil who keep doing that. They’ll take some stopping. Slaughtneil: A McMullan; P McNeill, B Rogers (0-1), K McKaigue; F McEldowney, C McKaigue; K Feeney; Patsy Bradley (capt) (1-0), P Cassidy (0-1); Shane McGuigan (0-4 frees), R Bradley, M McGrath (0-1); C O’Doherty (0-1); Se McGuigan (0-1), C Bradley (0-2 frees). Substitutes: B Cassidy for O’Doherty (51); G Bradley for McGrath (54); C McAllister for R Bradley (black card, 64). Yellow cards: McGrath (32); P Cassidy (39); O’Doherty (43); Rogers (62).